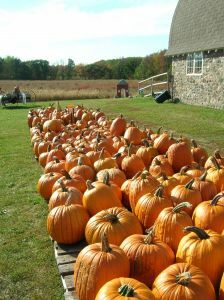 Fall, the time of year when we think of harvesting the crops that have been growing all through the summer. Think of your social media networking (Facebook, Twitter, Linkedin, and other sites) as opportunities to make and grow new social connections, making new friends and participating in new communities. Some business people confuse social media networks as advertising platforms, and attempt to SELL, SELL, SELL, with every comment. Then they wonder why others don’t come running to buy their product or service. Oddly, the same people will turn the volume down on their TV when a commercial comes on, or change the TV channel, or leave the room for a snack or bathroom break. Interesting to me that they don’t enjoy hearing pushy advertising, but they expect others to like their pushy advertising comments on social media. Not that you can’t mention your business, your product, or service to your social media connections, but that you need to be more social than focused on advertising. You need to get to know others. Tell them a little about yourself and what you like. Share a helpful, positive, informative, or even funny comment. Think of social network platforms like social functions where you are interacting with real people. If you only talked about your business every time you went to a social gathering, you would be pretty boring to others. You need to develop human connections before you occasionally mention something interesting about your business. As talented Internet marketing professional Michelle Chance-Sangthong, the Online Marketing Goddess, once said. If you cultivate trust in your social networks, you will be able to harvest the results of your efforts socially and in your business as well. If this make sense to you, and you would like to get more ideas how you could get more social with your clients in your business, please Contact Jax SEO Works. We like to help small businesses do better. This entry was posted on October 10, 2016, 10:56 am and is filed under Social Media Networking. You can follow any responses to this entry through RSS 2.0. You can leave a response, or trackback from your own site.